Leather boots are an investment in style that, if properly cared for, will remain relevant and classic for several seasons. 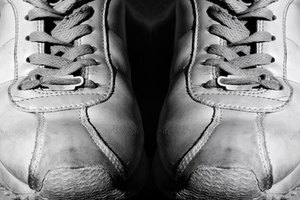 Unfortunately, improper care and storage of your leather boots leaves behind creases that are difficult to remove. Save yourself the time and money required to remove the creases by preventing them in the first place. This is accomplished through proper storage and care techniques that aren’t complicated or expensive. Fill the leather boots with cedar chips when not in use. The cedar chips soak up any excess moisture while leaving behind a pleasant odor. Allow the leather boots to dry completely before storing. 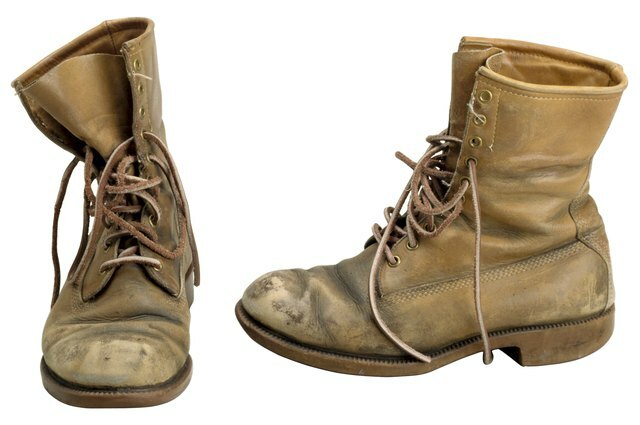 Do not set the boots near a heat sources, including direct sunlight or a radiator, to prevent the boots from drying out, making crease and crack more predominant. Cover the boots with a thin layer of leather moisturizer at least once-a-month. Using a soft cloth, work the moisturizer into the leather boots with a soft cloth. The moisturizer keeps the leather supple and pliable, preventing creases and cracks. Store your leather boots lying down or roll-up two newspaper or magazines and insert one into each boot. The magazines help the boots keep their shape in storage, preventing them from creasing. 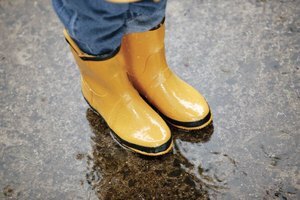 Avoid storing your boots in a damp place to prevent creasing, cracks and mold formation.